Discussion in 'Transformers Cyberverse and Cartoon Discussion' started by arcee101, Aug 21, 2011. 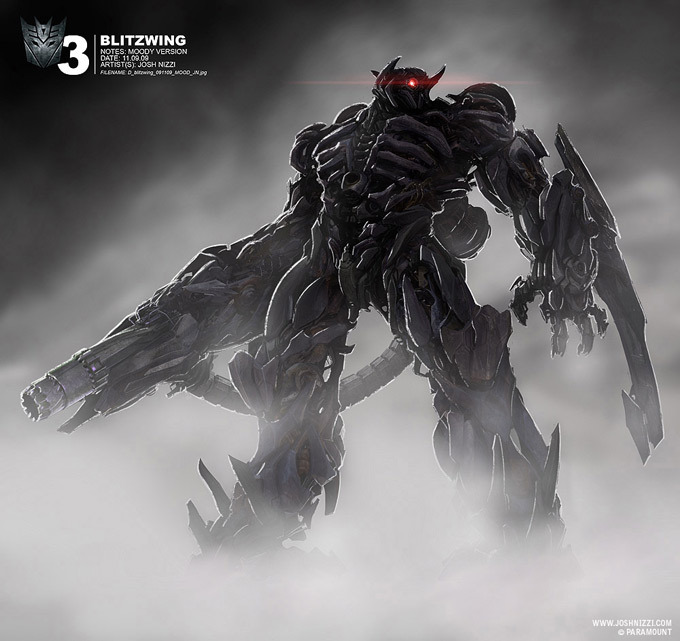 How badass would Shockwave be in TF: PRIME? He'd be great. He should show up in Season 2 and he should be voiced by one of my favourite voice actors, Corey Burton. I think he would look awesome. My personal wish is that they use the Animated head and a WFC body. Blasphemer! He shall be voiced by David Kaye! If WHEELJACK managed to be badass. Your right! How 'bout Grimlock then? As one of my favorite characters, I would absolutely love for Shockwave to show up. Prime Grimlock would freaking fart explosions or something. I think Shockwave is inevitable. Which is good, because I love him and can't wait for him. That said, I feel like he's totally gonna steamroll Megatron when he shows up. I wouldn't say no to Shockwave making an appearance in Prime. Perhaps as a tank/jet Triple-Changer? He could see it as a logical choice, utilizing the flight capabilities of a jet while keeping the heavy firepower of a tank. I wouldn't say to to Shockwave making an appearance in Prime. Perhaps as a tank/jet Triple-Changer? He could see it as a logical choice, utilizing the flight capabilities of a jet while keeping the heavy firepower of a tank. So we'd have Blitzwing and Shockwave rolled into one? If they do that then please let him have random personality changes. Maybe not outright personality changing, but rather struggling to operate on logic alone while keeping his emotions in check. Really? That's kind of an odd choice. Hmm, maybe they could make him as a foil to Soundwave. Soundwave deleted his emotions so he could function solely on logic but Shockwave declined to because he saw them as potentially valuable. They just get in the way sometimes. Do not want Shockwave in Prime. He's been done 3 times in the past 10 years, each covering a vastly different personality. I think we've had our Shockwave quota. I also think we've had a good amount of Wheeljack to set us up for some time too. But that's just my opinion. Shockwave trying to be emotionless but failing could end up being an interesting thing about his character. He values logic and reason but sometimes finds himself failing to keep that up. I would love to see that happen. I would be totally up for a hypocrite Shockwave who acts like he's the coldest, most detached person in the room, but is prone to insane emotional outburst everytime something doesn't go his way. I think this series suits Shockwave to a tee. I may not support the "let's toss everyone we can into this show just because we can" idea, but I'd like to see this one. There was a Josh Nizzi concept image that showed Shockwave riding on the back of the Driller with "Blitzwing" at the bottom of the picture. Most probably for concealment of the character during production. As the images have been taken down from his site, however, I cannot find the pic. I like Shocky, but I would prefer a less-known villain showing up this time around. Like, say, Overlord or Straxus. Not the one I was thinking of, but it does show off the "Shockwave-as-Blitzwing" thing I was talking about.